A few months ago Momtrends had the pleasure to go behind-the-scenes at visit the set of the movie, Delivery Man. 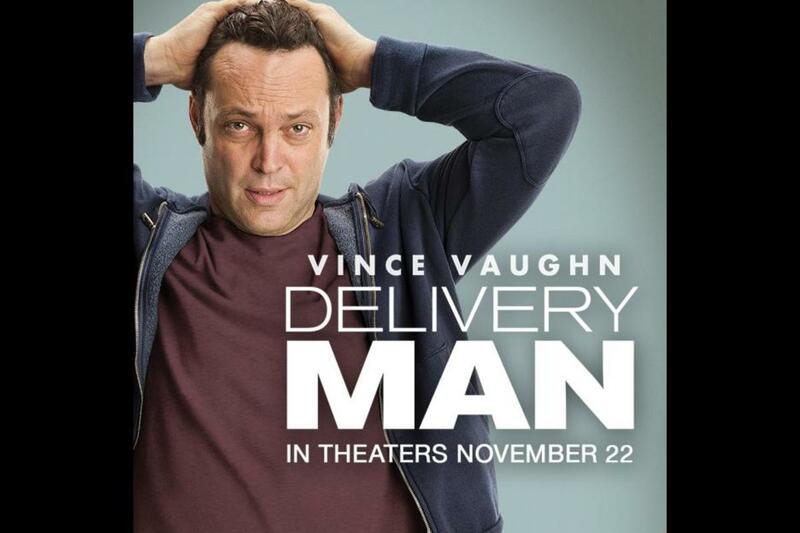 Released by Dreamworks Pictures and Reliance Entertainment, Delivery Man follows the story of David Wozniak (Vince Vaughn) whose anonymous donations resulted in 533 children. This hilarious story follows David as he tried to connect with all of these children as well as learn more about himself a Father. Filming throughout NYC, we loved visiting the set and meeting Vince Vaughn, Cobie Smulders (Emma) and Writer/Director, Ken Scott. Based off the 2011 French-Canadian film Starbuck (also written and directed by Ken Scott), our group had the chance to chat with Ken and learn more about this fun movie. He spoke of how it was a unique situation to have worked on the original film and now work on it again for the American remake. He spoke more about this as he noted, "I had the chance to see the original movie with many American audiences, and I saw their reactions and I really thought that it was a movie, it was a story that could really connect with an American audience. So basically what it is, its the same story, yet its just integrated into the American culture." This is an interesting perspective to the movie that Ken knows so well with the addition of the American perspective. This also meant an interesting way to make a movie that was essentially already made. Ken stated, "I had to get into a frame of mind of making sure that two things, two things that may seem opposite." For Ken this meant that he and his team weren&apos;t copying something or lose its "great creative energy," or as Ken described it "the magic that you want in a movie." He also spoke about how it worked through the process of making the movie different. He said that he had to "basically I tried to forget the other movie and just go through the same process." We also asked him why NYC was the backdrop of the movie where he stated, " New York is the greatest place to shoot this movie because 533 kids have to live in the same town." He added, I also liked the "different neighborhoods, and the kids are very different from one another, you know, in the sense that they have different realities." He also spoke about fatherhood and how (at its core) this is the dynamic of the movie. He stated, this is story about fatherhood and what it is to be a father." He also spoke of how he always had Vince Vaughn in mind since he wanted to make the movie as a dramatic comedy. He added, "I found that Vince Vaughn has definitely that capacity of, you know, making us laugh, yet hes a great actor, hes very charismatic. He was a perfect actor for this story." While on the set, I loved watching as Vaughn and Cobie (interviews with them in a future post), went over lines and then filmed a scene of this unique and fun movie. Be sure to check it out the movie when it releases on November 22, 2013. Our hotel room and transportation were provided.